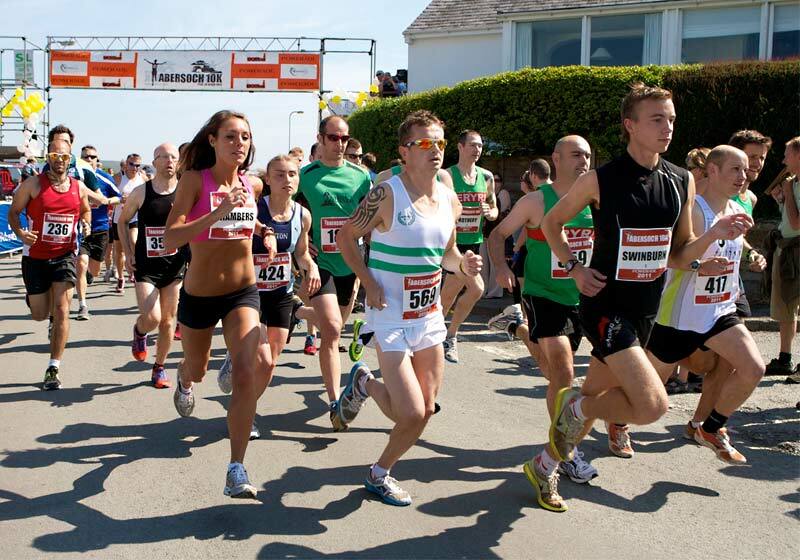 The Fairline Abersoch 10K and Abersoch Holiday Homes 3K Beach Race will be held on Saturday 1st June 2013. 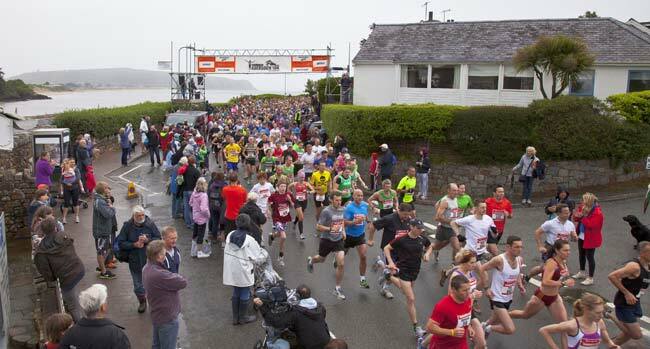 Over 1,000 runners take part in the races & there's even more spectators that line the streets & beach to cheer them on. The Coconut Kitchen is now selling its range of sauces online, from the restaurant and at Spar Pwllheli and Eurospar in Dolgellau. 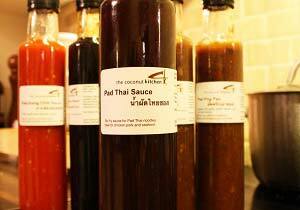 The sauces also come in Gift Sets which make the ideal Christmas present. *Honey, Garlic and Pepper Sauce - the same sauce we cook the spare ribs in! When mum Victoria Pollitt picked up a stick and wrote her son’s name in the sand, little did she know it was to lead to a whole new business. She took a photograph and then carried on enjoying her walk along the beach. The picture was so beautiful that Victoria had it made into a canvas for her 1 year old son’s bedroom. She realised it would make a unique gift for others too, so the idea for Sand-Writing.com was born - a website selling canvas prints of names and messages written in the sand. Victoria returned to the beach and began the painstaking task of writing the top 100 boys’ and girls’ names. 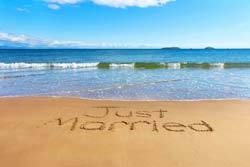 She added other popular names and different spellings as well as messages such as Congratulations and Just Married. The website launched this weekend and you can find out more at www.Sand-Writing.com. 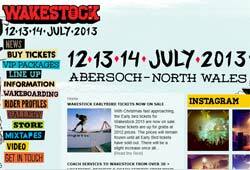 Wakestock 2013, Europe’s largest wakeboard music festival will now take place on the 12th, 13th and 14th of July 2013. Dates have moved to one week later than those originally announced. Early Bird tickets are available from today with tickets available at last year's prices. This year the event will change from a minimum age limit of 16 to a minimum age of 12, although attendees between the ages of 12 and 16 must be accompanied by an adult over the age of 25 to gain access to the festival site or any of the campsites. 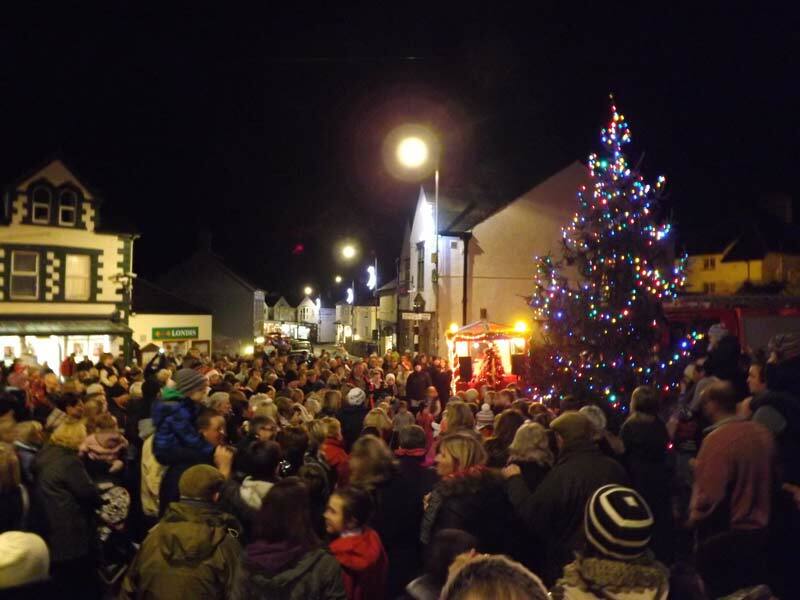 This was the scene in the centre of Abersoch at about 6pm this evening with a large crowd gathering around the Christmas tree to hear children from the local schools singing carols. Father Christmas arrived on board the local fire engine and The Oakley Brass band then played Christmas carols on the Vaynol patio. 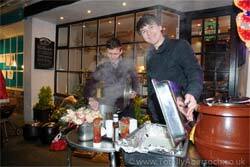 Many businesses stayed open late, with food and mulled wine served from various establishments adding to the festive atmosphere. Don't forget Abersoch Christmas Launch weekend starts tomorrow evening with the Oakley Brass band and carols from 5.30pm and the switching on of the christmas tree lights. Shops will be open late and the village will be looking very "Christmassy". 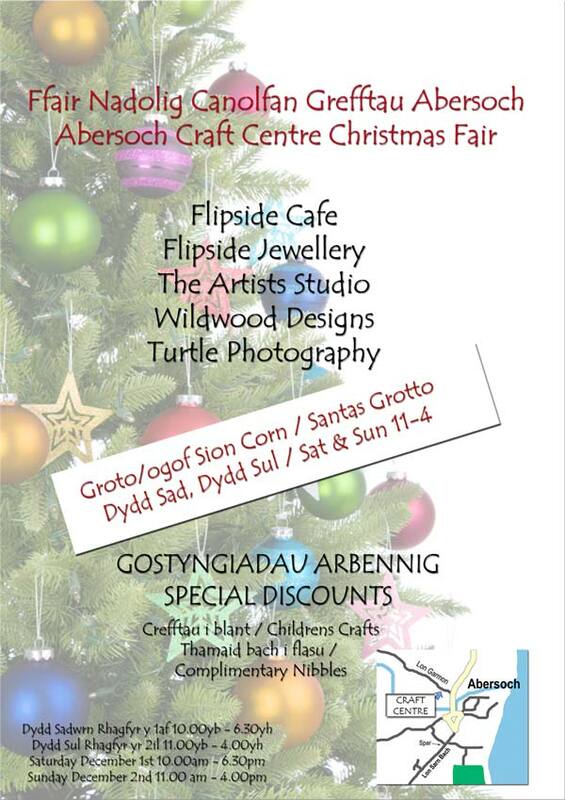 Abersoch Craft Centre will be holding their Christmas Fair this weekend - see more details at their Facebook event page. Following landslips caused by the recent heavy rains, the access steps that lead down onto Porth Ceiriad beach are blocked and very dangerous, so the beach should be regarded as being closed until further notice. The new beach consultation for local beaches has now started and the links to the relevant information are below. 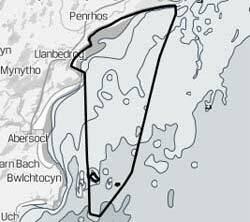 The extensions of dog exclusion zones to Abersoch, Llanbedrog and Porth Neigwl have all been withdrawn, so these do not appear on the maps. 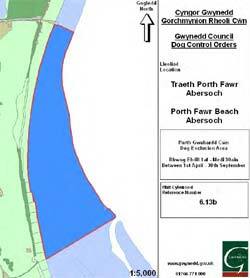 The only Abersoch zone on the documentation is the existing seasonal dog exclusion zone from the Golf slipway around Benar headland and into the harbour, which is generally well supported and is the one we need to maintain our Blue Flag status. 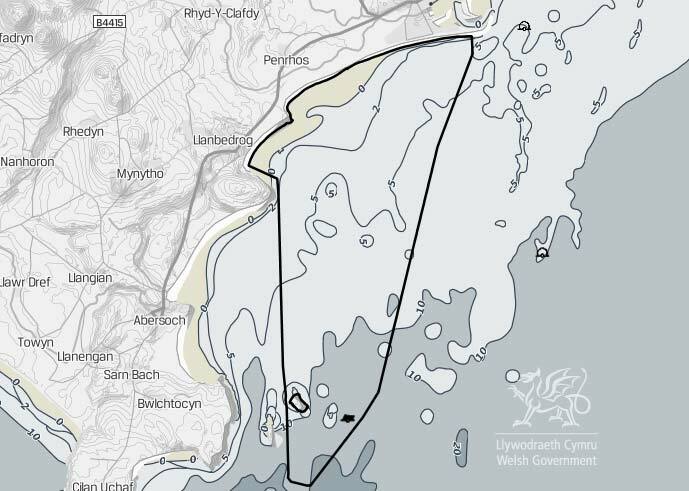 Please use the online questionnaire and if you support the current situation in Abersoch, then you need to click "support" for questions 2.1 and 2.2 and then use the comments box (2.3) to write that you support the situation in Abersoch as is stands at the moment (ie as shown on the map) and please spread the word! Many thanks to all who helped dispute the original proposals and thanks in particular to Llanengan councillor John Hughes (the landlord of the Sun Inn) for his work behind the scenes. 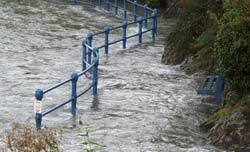 Much of North Wales saw severe gales and torrential rain during Thursday with flooding a major problem in places, including our local area. The intensity of the rain that fell yesterday lunchtime was so high, that roads became rivers, cars were abandoned and some homes were flooded. Not only was the rainfall intense, but it was also unusually prolonged and was described as the worst in living memory by several local people. 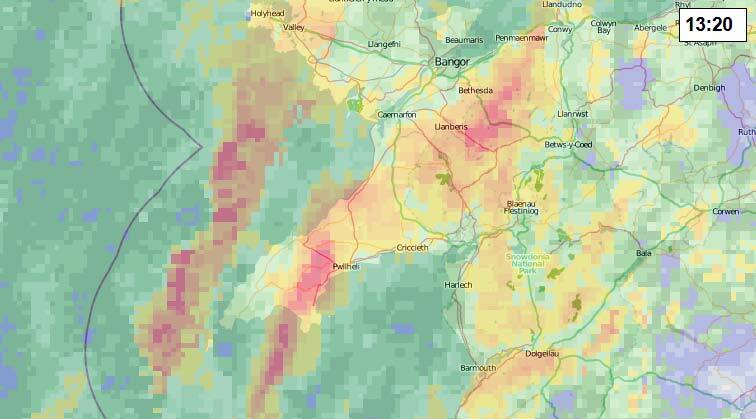 The rain radar image to the left shows the situation at 1.20pm yesterday with the bright orange colours showing the slow moving bands of torrential rain. As of this morning, everything appears to be back to normal on our local roads. Abersoch Craft Centre will be holding their Christmas Fair on the 1st and 2nd of December - see more details at their Facebook event page, or click on the image on the left to see the event poster. There will also be a Santa's Grotto for the kids. 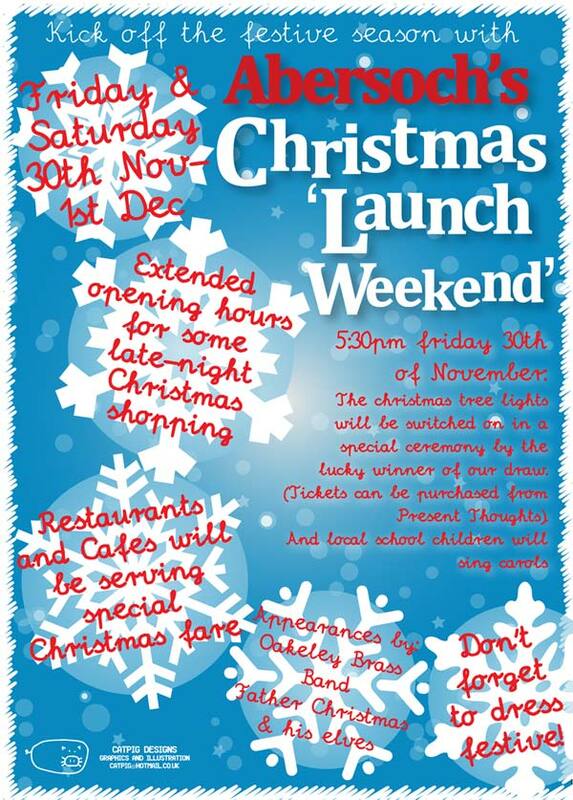 Don't forget that Friday 30th November see Abersoch's Christmas launch with a brass band and carols on the Friday evening and the switching on of the lights in the village. See the news item below for more info. There appears to be a delay in the start of the new consultation on local beaches, so as soon as it starts, all the info will be posted here. 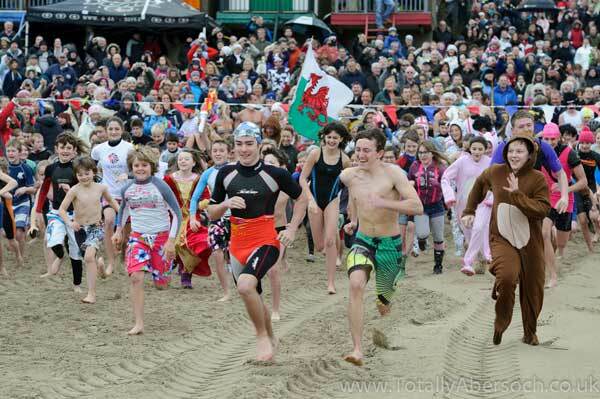 Abersoch main beach will again be the place to be on New Year’s Day to get rid of your hangover by rushing into the sea for the annual Abersoch RNLI New Year’s Day dip. This year the fancy dress theme is ‘Film Heroes’, and we are looking forward to seeing the usual imaginative interpretations of the theme. Let’s make an heroic effort to raise as much money as possible for our wonderful lifeboat crew as all money raised will go directly to the Abersoch station to help with training and equipping the crew and supporting team members. It is expected that if you join the dip you will raise some money for the crew, who will be on and in the water at the event to look after everybody’s safety, so to take part a sponsorship form is needed. Forms are available in the village at the Abersoch Tourist Office, Abersoch Boatyard, OSD, Boardrider and Beresford Adams. Alternatively you can download a sponsorship form here or you can use the Virgin Money Giving website and set up your sponsorship using the Abersoch RNLI Dip event page (it has been set up so that all fundraiser using that system will have their money donated directly to Abersoch RNLI station). The Virgin link page can be accessed by clicking here. 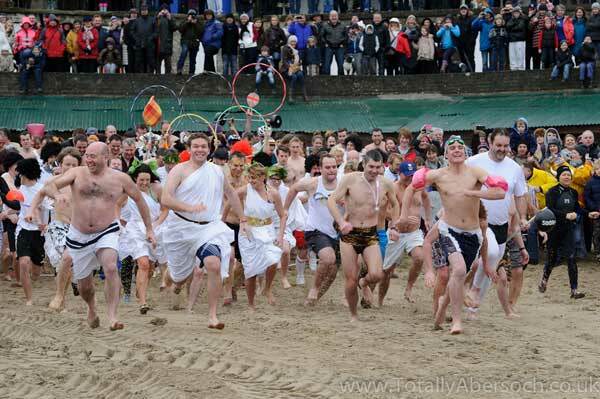 As usual the dip will take place on the main beach at 12 noon prompt, and this year the adults will go in before the children to avoid any risk of children being knocked over in the rush. Hot drinks will be given to all dippers and there will also be drinks for sale to the spectators in the car park. Last year around 450 brave souls went into the sea, supported by around 2,000 spectators, so it is essential that you allow sufficient time to get through these crowds and the resultant traffic to get onto the beach before 12 o’clock. We cannot delay the event as it would leave people waiting in the cold. 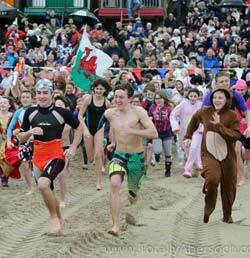 (iv) The proposal for Abersoch’s Porth Fawr (main beach/town beach) will be to maintain the status quo. ie, from Footprints slipway looking out to sea, dogs will be allowed to the right or towards the groynes. The dog exclusion zone will extend from Footprints slipway towards the Yacht Club extending all the way past the cliffs and into the harbour, ending at the access to the harbour beach which Land and Sea use for powerboat launching. It should be noted that under new regulations that will be brought in across Gwynedd, owners of unruly dogs can be requested by council officers to put their dog on a lead. Also, positive steps will be taken to encourage irresponsible dog owners to clean up after their dogs. This page will be updated once we get to read the actual documentation for the new consultation. Graham Eaton returns to show us some of his magnificent images in the beautiful surroundings of Plas Glyn Y Wddw. The last lecture that Graham gave was a sell out and it is hoped that this will be repeated. Graham has requested that all proceeds go to the RNLI. As the number of seats is limited, tickets should be purchased in advance and these can be purchased via the Dwyfor Camera Club (Peter Milnes tel. 01758 740 688). Paul Collins, crew member from Abersoch has made the short-list of best entries in the RNLI’s annual Photographer of the Year competition. For the first time in the competition’s seven-year history, the charity is inviting members of the public to visit its Facebook page and vote for their favourite photo. 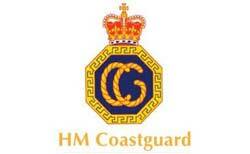 For more information visit:- the RNLI website here. To vote for Abersoch RNLI for the RNLI’s Photographer of the Year award simply follow these few steps: First, go to the Facebook Page. If you don't already Like the 'Official RNLI' page, First of all click LIKE towards the top right. Click the VOTE button under the photo and follow the on screen instructions. Now, here's the important bit! Please share this message with all your friends on Facebook. Pass these instructions on by simply clicking SHARE. This is to take place on the the weekend of 30th November and 1st December and local businesses will be getting into the festive spirit here in Abersoch. Local children are going to be singing carols, lots of shops will be opening late and cafes and restaurants are putting on festive fare. There is also currently a draw (tickets available in Present Thoughts) for a lucky person to turn on the Christmas tree lights on 30th November. Abersoch Craft Centre will be holding their Christmas Fair on the 1st and 2nd of December - see more details at their Facebook event page. The Dining Room Christmas Party menu is available on their website by clicking here. and you can see the Coconut Kitchen Christmas party menu and special offers online at this link. ... is that there is to be a new consultation!!!!!!! After a day of confused information, it looks like some progress is finally being made on this issue. Because of the various problems with the previous consultation, there will now be a new consultation relating to our local beaches only and the new consultation documentation will be publically available in the next 1 to 2 weeks. We will post the information on this page as soon as we receive it. The council department involved has suggested this afternoon that the proposals will effectively maintain the status quo, so that very little is likely to change regarding zoning in Abersoch, which is positive news. 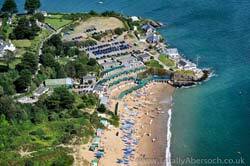 On November 10th, this year's MOROL AGM and Conference is coming to Nefyn. ‘The Llŷn Peninsula, Wales and the Sea’ will explore some of the wealth of topics surrounding our local and national martime heritiage. Topics covered will include the Rhiw axe factory, the mystery of the Llyn Maritime Museum longboat, Welsh literature and the sea and various others. The museum has a range of maritime artifacts in its collection which are of cultural or historic importance and linked to Nefyn and Llŷn. For more info on the event, visit their website here which has a link to the event schedule. The "public consultation" process regarding the imposing of extra dog control orders on some local beaches ends tomorrow, so we will be posting the official decision as soon as we receive it this week. 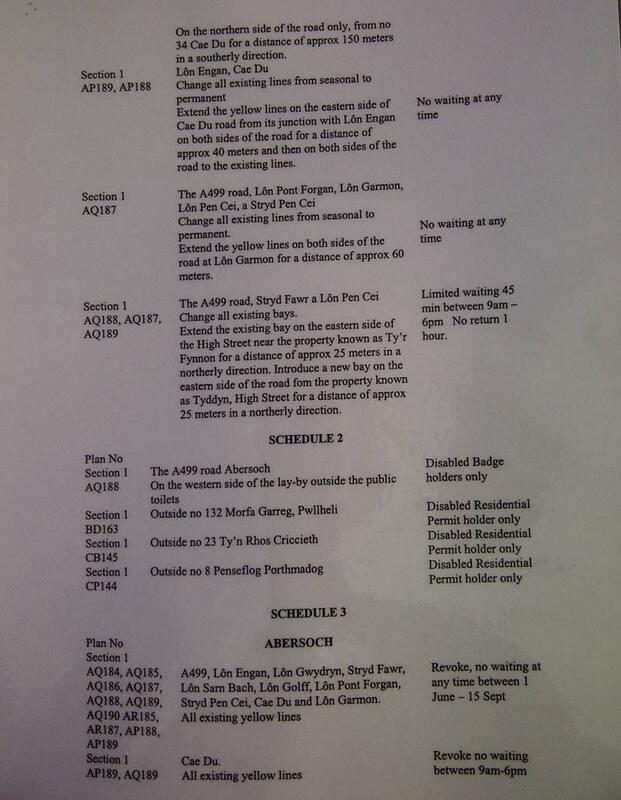 With just a couple of days to go, Gwynedd Council finally confirmed that 2 of the maps were different to their text descriptions (see news item 15 October below). Apparently, it is the maps that are correct, but the descriptions are wrong. It appears someone at the council has got their north and south compass points muddled up, which is slightly concerning considering we are told that it was the council's own maritime department that provided this information. Dog Consultation Update - Please Help Abersoch! There is no further news on these confused proposals (see news items below) and the farce of a consultation process continues, despite the public being given incorrect and incomplete information. The rumours in the village that Abersoch will be exempted from these proposals are unhelpful and not what the council are saying, as an email dated 22/10/2012 to us shows that this is not the case. Therefore, if you have not filled out the online questionnaire (see below) or complained to the council ( dogcontrol@gwynedd.gov.uk ) - then please do so as soon as possible. Each family member can fill out the online survey. We suggest you use the questionnaire comments section to ask the council to leave things as they are for our local beaches & to not increase the no dog zones. This years' surf comp was blessed with warm sunshine and great surf at Porth Neigwl. The Junior event was won by Urien Davies-Hughes with Zac Pierce second and James Pritchard third. The Open Event was won by Eilir Davies-Hughes with Simon Turner second and Ryan Garbutt third. Local lad Llewellyn Williams took fourth place, which is a remarkable achievement considering just over a year ago, he was fighting for his life in hospital after a road accident which saw him lose a leg. Llewelyn is pictured opposite. The event was run by West Coast Surf Shop & Abersoch Watersports. Main prizes were donated by O'Neil and Patagonia. 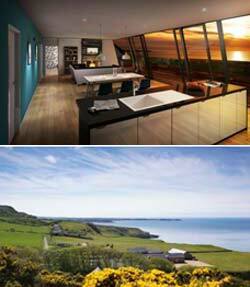 holding an Open house event at a location near Nefyn, where they will be building 20 holiday homes, which will include concierge service. The new fully furnished luxury residences, will feature top-spec, contemporary interiors with full height picture windows opening onto a generous landscaped terrace running the full width of the property. The development will benefit from uninterrupted sea views and each home is carefully screened from its neighbour so that nothing interrupts the natural beauty of the setting. This family friendly event for prospective buyers, will take place from 10am to 6pm on the 27th and 28th October at Natural Retreats - Llŷn Peninsula, Pistyll Farm, Pistyll, Gwynedd, Wales, LL53 6LR. There will be face painting and games to entertain the children with nibbles and bubbly served throughout the day! To RSVP to the Open House event and for further information on Natural Retreats residences please visit www.naturalretreatsresidences.com or call 01625 416 450. 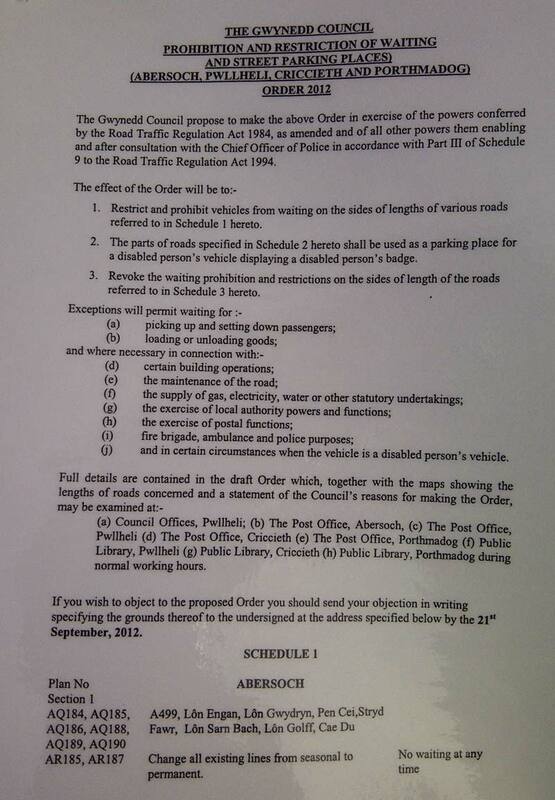 In a letter to residents, the council have backed down on their plans for winter parking restrictions in Abersoch. 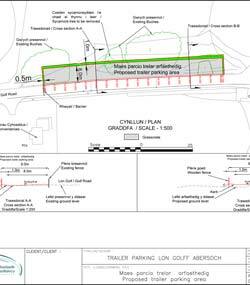 The letter says, "Following the recent formal consultation to the proposed changes to the present waiting restrictions in Abersoch, I wish to inform you that we have received some objections to the proposal.... I can confirm that we have met with your local County Council member, Mr Wyn Williams. Councillor Williams is eager that this Service suspend these proposals in order that we may look in detail at the comments made and draft alternative options. Our intention is to hold a public exhibition with various options, and the Councillor has expressed that he wishes for this to be held early next year." 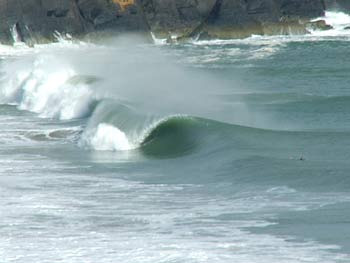 The comp is on and the waves look good, so the plan stays the same, Hells mouth carpark at 9am on Saturday. As for the night time, its tickets on the door only at SCYC, £4. The night will also have a charity auction, at around 9 - 9.30. There are some great lots up for auction: Ipad 2, Oakley sunglasses, Signed ltd edition artwork from Jim Phillips, ltd edition print from Photographer Graham Eaton, prizes from Reef, Quik, DC plus a signed Henri Lloyd clothing pack from Ben ainsle. There will also be a lucky dip, £5 a go but everyone is a winner, loads of t's hoodis etc to grab, so again get there early to avoid missing the good stuff!!! 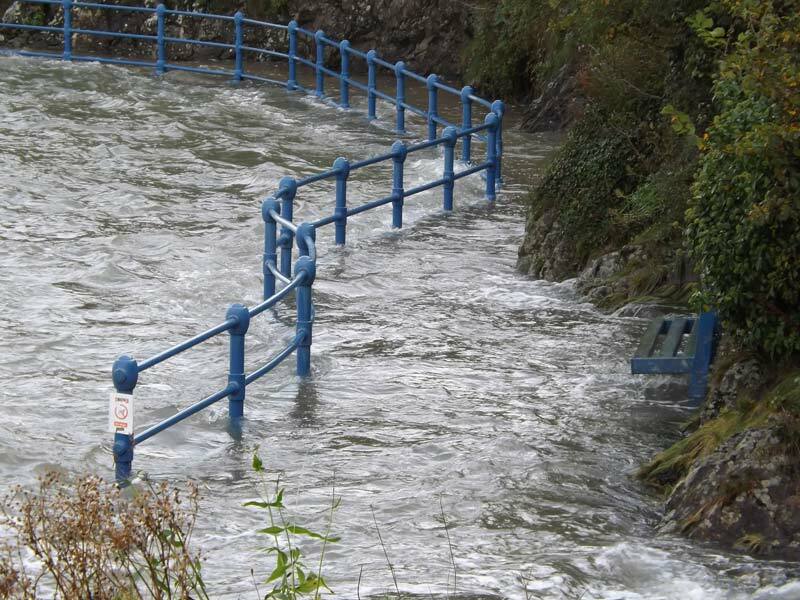 This morning's spring high tide is bigger than normal due to low pressure and a strong to gale force southerly wind blowing up through Cardigan Bay. Tonight's tide looks like it will be a big one too. Click here to see some photos from the harbour and the main beach. 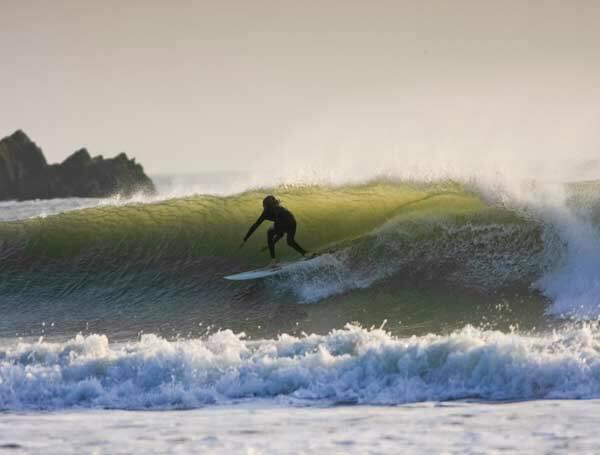 Plans are already underway for Wakestock 2013 and the festival will return to the Llyn Peninsula in North Wales on July 5, 6 & 7th 2013. The organisers are busy planning various improvements, additions and new concepts for the festival next year and more information about these changes will be coming in the next few months. Earlybird tickets will be going on sale in December, and announcements about the availability of these tickets will be coming soon. 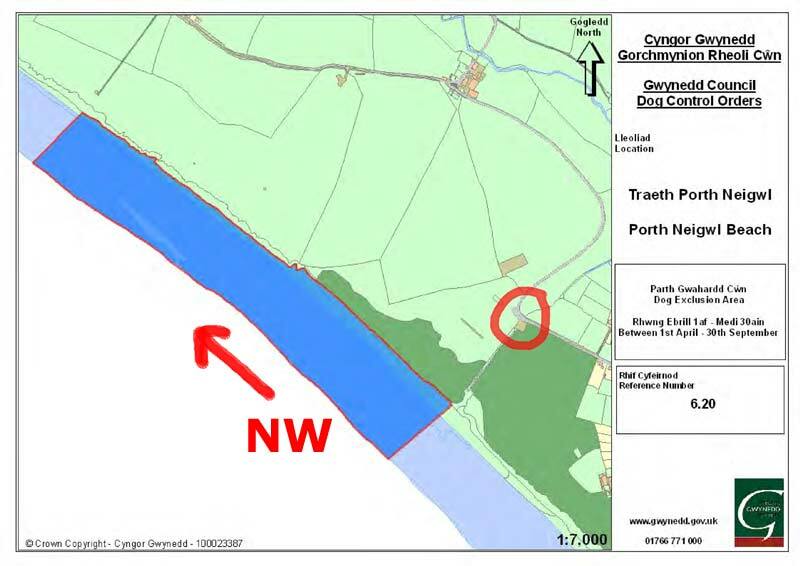 Here is another incorrect map for the proposed Dog Control Order public consultation, this time it is the map for Porth Neigwl on their website. 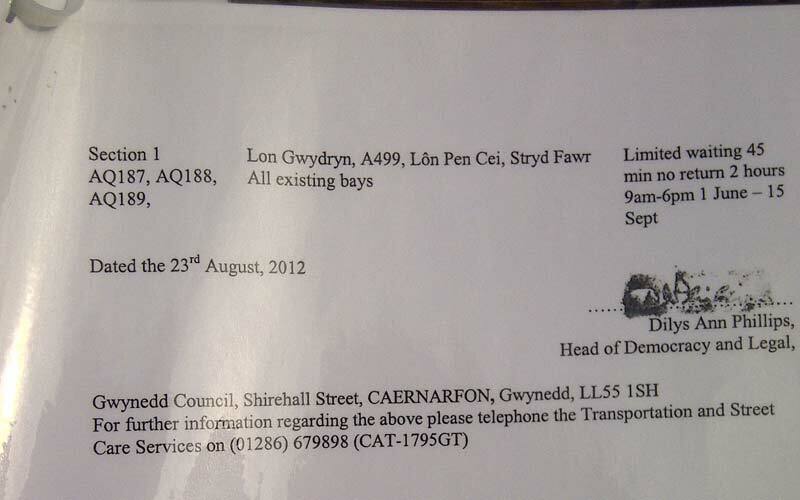 Item 20 on the DCO beaches list says the DCO will be "the beach to the southeast of the access point towards the cliffs at Mynydd Cilan." A quick glance at the corresponding map 6.20 (see the map opposite and click for a larger image), shows the car park within the red circle (that we have added) where the public access point runs to the beach. The proposed DCO on the map is in fact running NW along the beach, not to the SE. Aside from the issue of information being withheld from the public consultation on DCO's, the information that the council have let us see on their website for Abersoch Main Beach is incorrect. 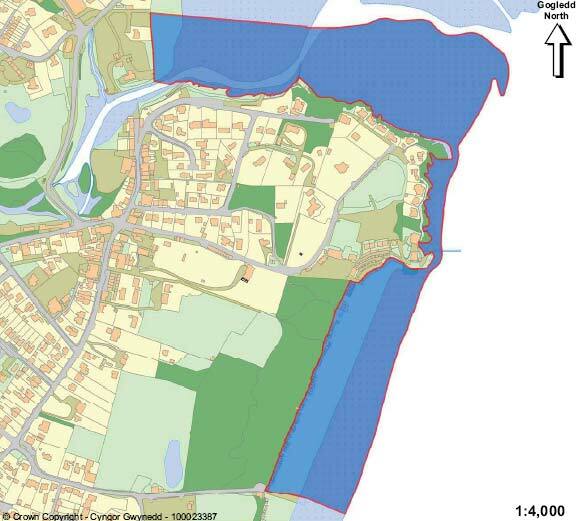 Item 13b on the beaches list says the DCO will be "the area of coast to the north of the access point (ie slipway) towards the direction of the sailing club and beyond the headland of Penbennar". The corresponing Map 6.13b does not show this, but shows a DCO running south down Abersoch Main Beach from the slipway towards the groynes (click on the map for a bigger version). There is no map of SCYC and Penbennar. As the information that the public are being consulted on is incorrect, then here is another reason why this public consultation should be halted immediately. Despite rumours to the contrary, the council plans for the main beach remain in place - both the ones mentioned in the consultation documentation and the ones withheld by the council from the consultation process (which would mean us losing our Blue Flag). The council confirmed in writing late on Friday afternoon that the consultation continues and no decisions will be made until after 5th November. So, the council continues its deeply flawed consultation process, where not all the information has been provided to allow you to make an informed decsion and which also continues to put our Blue Flag at risk. Will take place this year on the 20th October 2012. 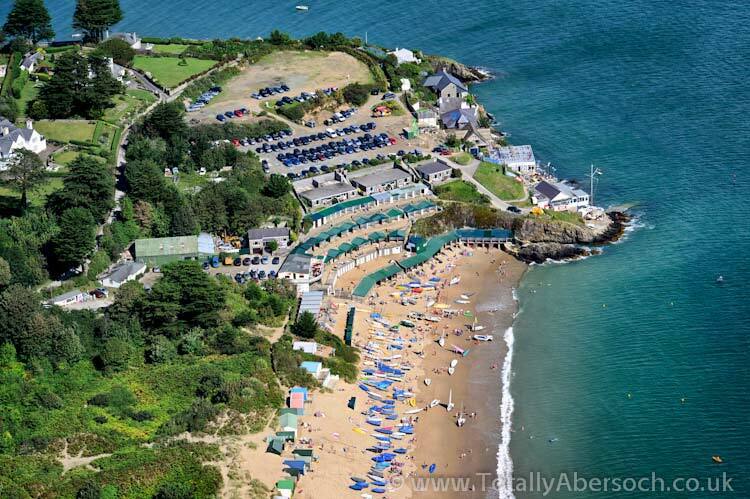 We received confirmation in writing this afternoon that the council's almost unbelievable plans for Abersoch main Beach would endanger the beach's Blue Flag status, which would be a disaster for tourism in the area. We have written to those involved again to request that these daft proposals are withdrawn immediately. This website raised its fears a few days ago over the dog control consultation process and our very worst fears have been realised. Following a reportedly positive meeting with the council last Thursday, whereby council officers allayed some fears over how this trailer park will operate, the council has since not replied to a written request for this information. So, as it stands, nothing has changed, as the only written information on how it might work, is still the misleading words in the original planning application. For the second time, 7 members from the Abersoch Coastguard Resue Team yesterday joined the huge search effort in Machynlleth for April Jones, who was abducted earlier last week. The team joined over 40 other coastguards and hundreds of other searchers including some from the police force, mountain rescue teams, fire service, RNLI and the general public. The Abersoch team assisted coastguards from the local area in searching the river banks and areas of the Dyfi estuary. 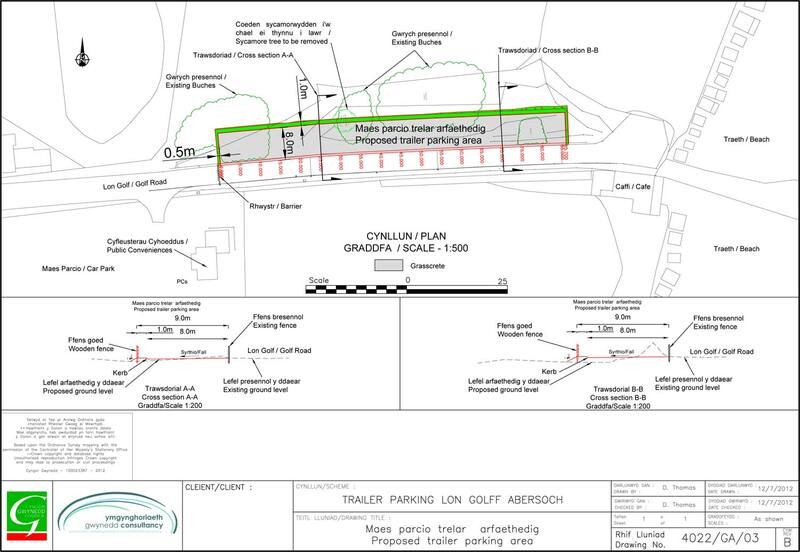 Anyone associated with a business in Abersoch is invited to a meeting at 5.30pm in the Vaynol to discuss the controversial council plans of extending parking restrictions in the village, extending the dog exclusion zones on beaches in the area and the new trailer park on the Lon Golff slip. News from the meeting will be uploaded soon. Is The Council Dog Consultation Questionnaire Fit For Purpose? It has been brought to our attention that the online questionnaire that the council have on their website to get our views on the new dog control areas, is potentially mis-leading. Question 2.2 asks "Dog exclusion zones – Do you support or oppose excluding dogs from the following areas? 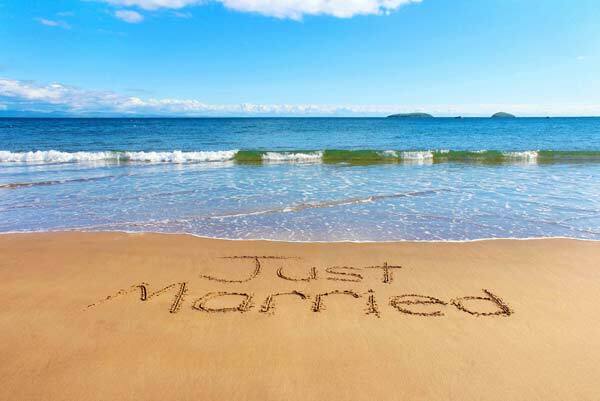 "with one answer option being ... "Designated beaches between 1 April and 30 September." 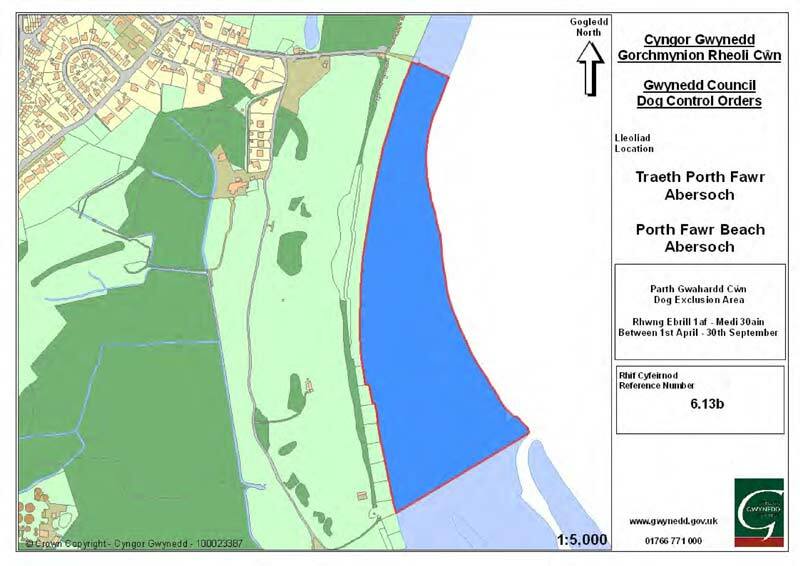 Well, many people do support the current exclusion zone which appears to work well on the Abersoch Main Beach between SCYC and the Golf Road Slipway - so they may tick this box and the council then take this as a go ahead for the proposed NEW extended zones on the main beach. If you are against theses proposals for the NEW extended zones, then also make sure you name and specifically object to various beaches in the comments section. 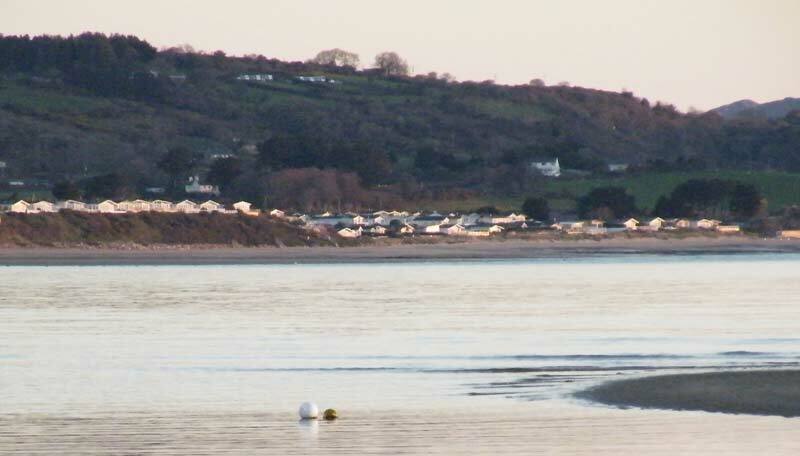 It is the opinion of this website that this questionnaire is too general in nature to deal with the issues specifically in Abersoch, as each zone / beach should be considered on a case by case basis, as each has different circumstances to consider. For more information on the proposal and to have your say - visit this page of the Gwynedd Council Website. Minutes of the council cabinet meeting that made the decision to propose these zones can be viewed here. A meeting is to be held next week with the council regarding how the proposed trailer park on the Lon Golff Slipway is going to function. If you have a view on this, you can attend the meeting at 10.30am on 4th October at the site, or forward your views via this email address - which will then be raised at the meeting. One area of great concern is that it appears there is a major contradiction in the planning proposal for this park. The planning application states that the trailer park for about 30 trailers will "eradicate the problem of trailers left on the beach." With far more than 30 boats launching in a day (sometimes 100), the question needs to be asked how will this eradicate the problem of parking trailers on the beach and where do the excess trailers go? The Daily Post is today running an article on the proposed extension of parking restrictions in Abersoch over the winter months. For the full Daily Post article - click here. There was a dramatic rescue off Abersoch late this afternoon after a powerboat sunk with 3 people on board. The persons on the stricken craft were able to call the coastguard on 999 who kept them on the line, whilst trying to determine their position. 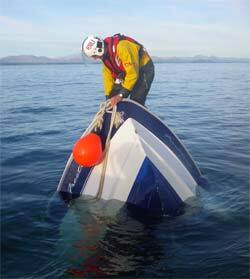 With the boat all but sunk, and the 3 in the water, they were spotted from the land by team members of Abersoch Coastguard, who guided the Abersoch RNLI inshore lifeboat towards their location. An RAF helicopter had also been scrambled and was on scene as the lifeboat crew plucked the 3 out of the water. The 3 were checked over by an RAF crewman and returned to shore, cold, but in good health. The Daily Post has an article on the rescue - click here. 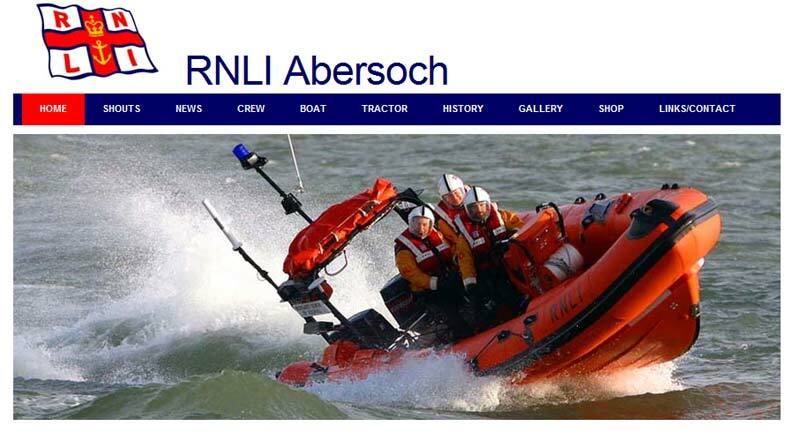 See the RNLI Abersoch website for more - click here. The BBC has run a short piece on the rescue here. 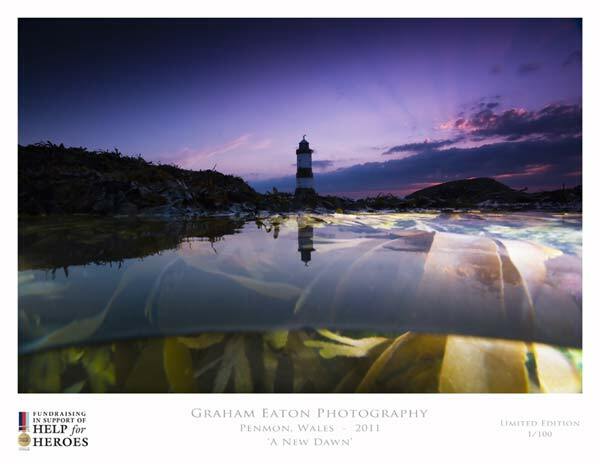 Taking photos of Sea Bass in their natural environment is notoriously difficult, however wildlife photographer Graham Eaton managed to capture this great shot at Porth Ceiriad, which has been commended in the British Wildlife Photography Awards 2012. It took a long time for Graham to capture this shot and he described the process as "hunting with a camera" and had to use a free diving technique to get it, rather than his usual scuba gear. You can view a larger version of the photo by clicking here. Plans to build a trailer park for boats and jetskis near to the Golf Road slipway entrance to the main beach are causing controversy. It appears that not many people are aware of them, as the mandatory public notice is nowhere to be seen. In the words of one regular Golf Slipway user..."the application has very serious implications for all pedestrians and boat owners using Golf Road and the slipway to our beautiful main beach. It is proposed that power boats and PWC's (jet skis) will be launched on an individual basis and the trailers returned to the trailer park adjacent to the roadway...This will involve each car and boat being held at the barrier until the previous car has proceeded to the existing small turning circle, manouvered around , the trailer and boat being backed down the slipway and the boat launched. Once the trailer has been parked in the proposed trailer park, and the car has exited the barrier, the next car and boat will be permitted to carry out the same exercise. Assuming each launch takes 20 minutes and there are 50 launches I reckon it will take over 12 hours! In my opinion this presents a very real danger to pedestrians, particularly outside Footprints, and there will be severe traffic problems on Golf Road as the queue of traffic builds up. One only has to see the queue on a sunny Summer's day when there is a high tide at about 11am." Another regular beach user commented: "Boat launching and vehicles using the main beach is of course an issue, but are the council simply replacing one safety problem with another?". 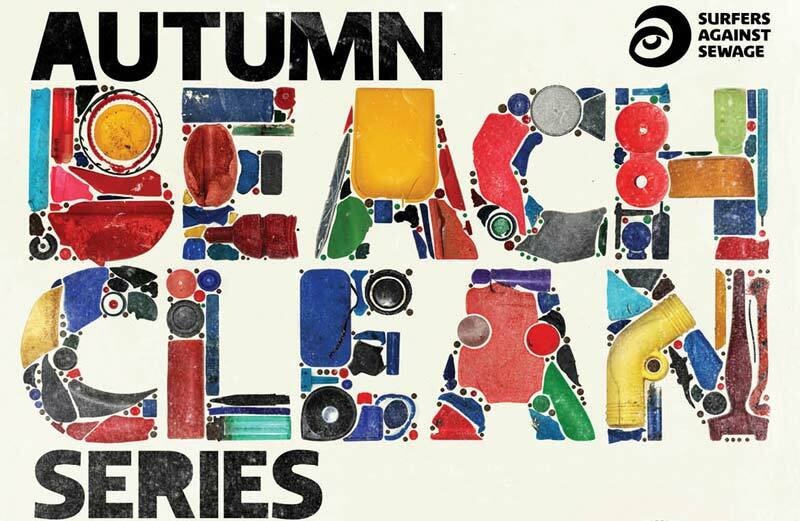 Surfers Against Sewage is calling for community volunteers to get involved with the Autumn Beach Clean Series at Porth Neigwl on Sunday 9th September. 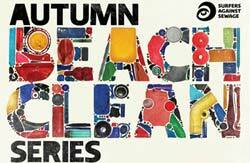 They are working with The Crown Estate to deliver an ambitious nationwide series of community beach clean events this autumn. The clean up will run from 11am – 1pm. SAS provide all equipment and safety considerations (please come dressed for the UK Autumn). To register for an event please email dom@sas.org.uk or call 01872 555953. 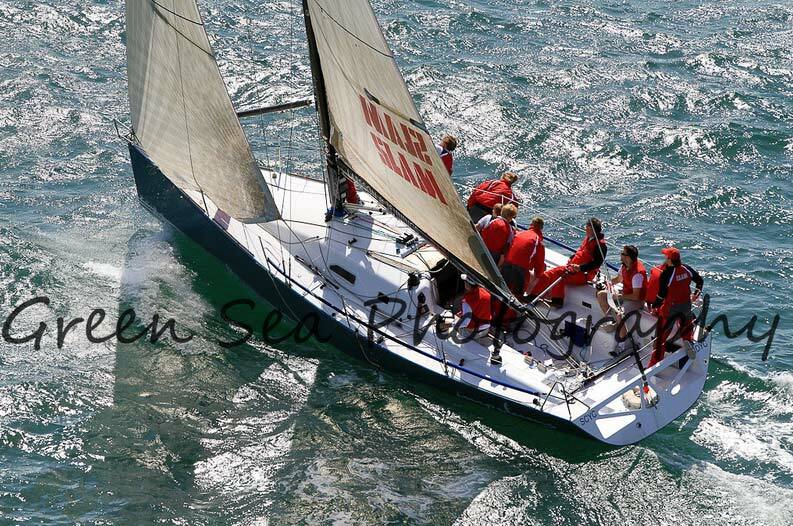 Hundred's of photos of the recent Abersoch Keelboat Week have been taken by photographer Andy Green including many taken from air as Andy took tothe skies in a helicopter. 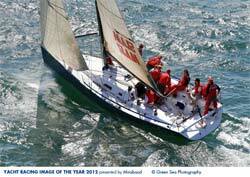 Results from the event can be found at the excellent SCYC website - here. Local photographer John Wormald has recently taken to the skies again above Abersoch and taken some superb photos of the area. 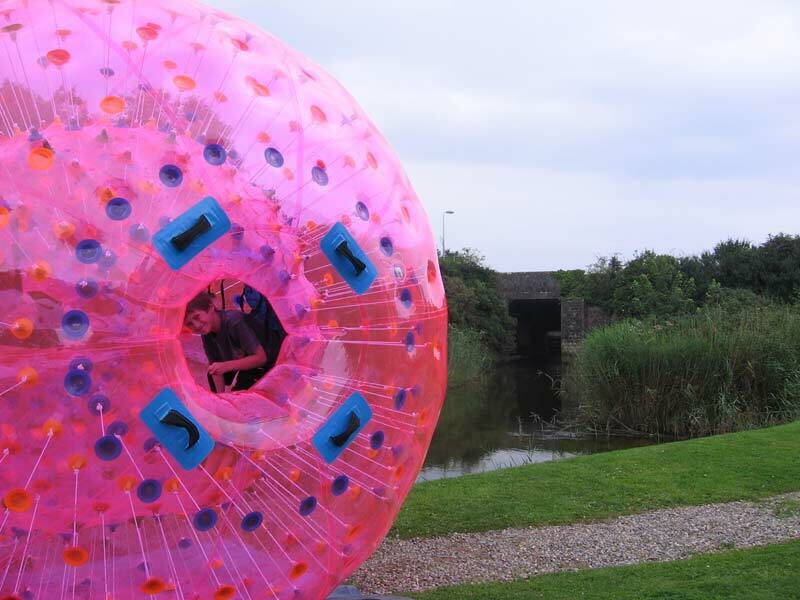 Down at the Riverside Hotel in Abersoch, you may see some large and colourful balls moving around the garden and floating on the river - this is called Zorbing and this activity will be available at weekends until the beginning of September and during the week at times too (weather permitting). 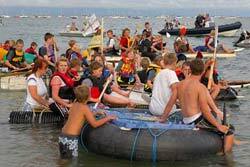 With very high winds forecast for the Abersoch area tomorrow, the safety team behind the Abersoch raft race have made the decision to cancel this years race, which is due to take place tomorrow evening. This is the second event to be cancelled in the area over the last 24 hours, with the Glass Butter Beach festival also cancelled, due to the potential danger from the forecast high winds. Details of this years events are below. The event brochure can be downloaded from the following link as a pdf (3.8mb) - click here. - Wednesday August 15th: Great Raft Race (Juniors ages 8 to 14 @ 18.45hrs) & Seniors (Age 15+ @ 19.00hrs) - Abersoch Main Beach at the Yacht Club end of the beach. Entry forms available on the beach on the evening of the event and the prize giving will be at the Vaynol Arms at 20.30hrs. - Thursday August 16th: Sandcastle Competition (14.00hrs Main Beach - Golf slipway end of beach). 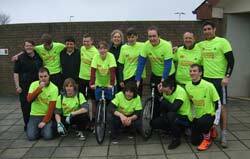 Money raised from the regatta will continue to be used to support local projects, especially youth organisations. Recent beneficiaries have included the Air Ambulance, Urdd Gobaith Cymru, Llanengan Community Hall and the RNLI. 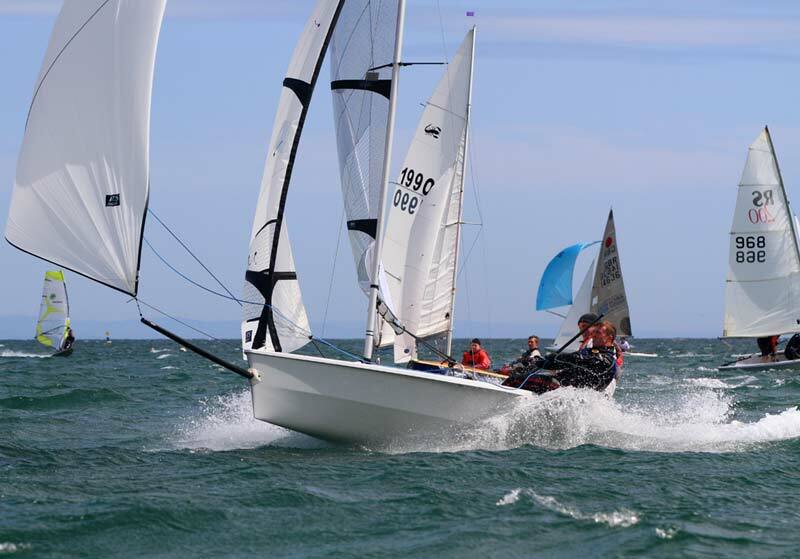 The hundreds of sailors who are currently in Abersoch for the annual Dinghy Week, have had some varying conditons so far, with strong winds meanning the cancellation of some races earlier on in the week to very little wind yesterday afternoon. After the recent rather dodgy weather, forecasters are suggesting generally improving conditions over the coming week - which is excellent news. 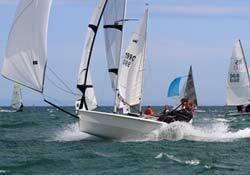 We will have some news on this years annual Abersoch Regatta events on the news page next week. After the torrential downpours of Friday morning (one of the heaviest mornings of rain in recent times in Abersoch), which caused flooding on local roads and flooded one of the camping areas at the festival, organisers say that conditions are now improving on site. 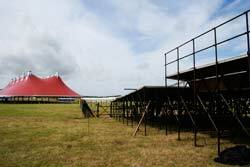 It is still very, very muddy but early reports from festival goers this morning suggest that last night was a good one. Even though conditions were very, very wet and muddy on site yesterday (how could they not be after the amount of rain that fell), it was shocking to see photos posted on social media networks, which were actually from a flooded Glastonbury several years ago. One TV station and one major regional newspaper used these photos and said they were taken yesterday! The TV station also falsely transmitted the news that the event was cancelled. 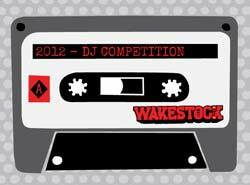 Keep up to date at www.wakestock.co.uk & associated social media. 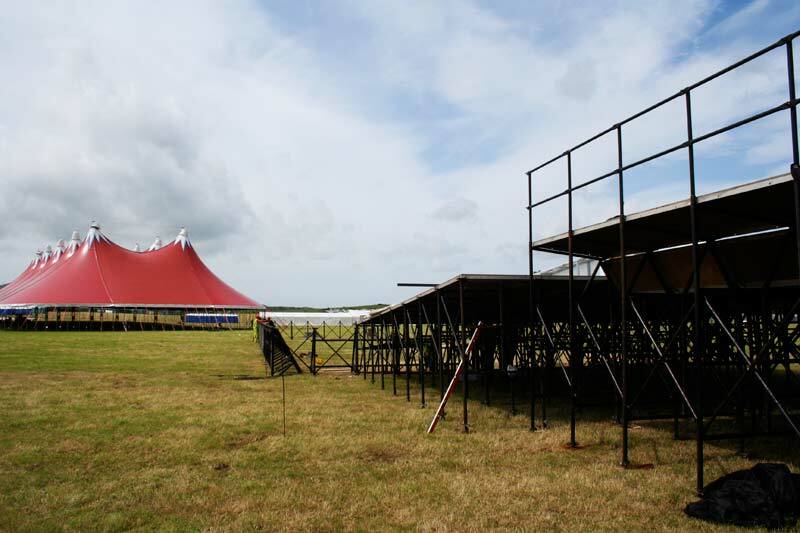 The build up of the festival is progressing well and on schedule at Wakestock. Like the rest of the country the site has received a significant amount of rainfall over the past few months and weeks. Due to this the car parking fields are fairly soft and this may cause some difficulty when driving on or off the site. Wakestock has therefore arranged a park and ride location at Pwllheli Marina in the Yacht Club car park where festival goers can park up and meet the shuttle bus service which drops off right at the festival entrance. The shuttle buses run on a continuous loop between Pwllheli Maes, the Yacht Club and the Wakestock Festival site at Pen Rhos. This facility is also available for people dropping off and picking up festival goers. The car parks at the festival site will be open but it is recommended that car users use the park and ride as an alternative to avoid potential delays. Just received from Wakestock HQ..."We are all systems go on the Wakestock site and we’re ahead of schedule on this year’s build. Check out the shots taken yesterday. We don’t let a few rain clouds put us off here at Wakestock and with the forecast looking better as the week progresses, we can’t wait to open the campsite on Thursday afternoon and let you revelers in! The tickets are selling really well and although there may still be some available on the door, we cannot guarantee this and urge you book in advance to avoid disappointment. You can book online here and collect your tickets on site at the box office alternatively tickets are also available in local shops. We will be doing a sun dance all week for blue sky, however, like a good boy scout, “Be Prepared” Don’t forget your wet weather gear, which means a decent waterproof coat, your wellies and some warm clothing. So that you remember all that you need, check out this link. Roll on Thursday!! The winner of last week's competition to win tickets to this year's Wakestock is Mandy Williams. Congratulations Mandy - the team at Wakestock will be in touch on how to claim your tickets. Well done you!" How many gallons of water does the now famous Wakestock Pool Gap hold? Send your entries to info@wakestock.co.uk The winner will be announced via this website on Monday 2nd July and your tickets will be available for collection on arrival at the event from the Box Office. If you haven't already purchased your Wakestock tickets got hold of your today. 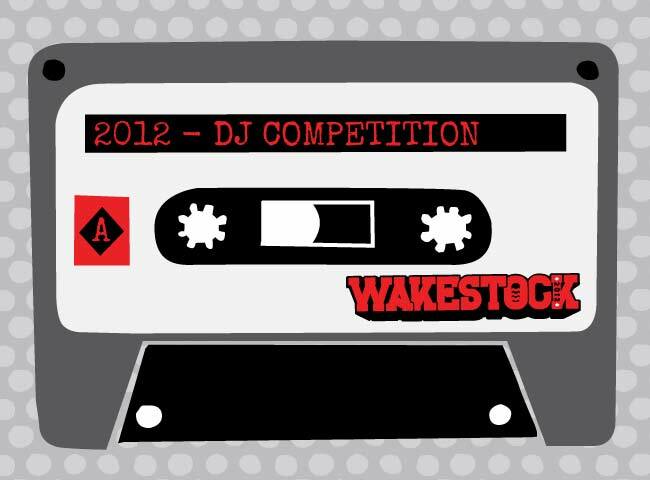 With less than 2 weeks until the event opens everything is set for Wakestock 2012 to be the best yet. Marine Zone Expert "Can't See How They Can Work In Wales". The BBC news website is running a story on the opinions of the MCZ process of Dr Dylan Evans, who has helped set up similar zones around the world. He is quoted as saying in relation to the proposed MCZ's in Wales that he ..."...can't see how they can work without the support of the local community and as I see it now, the support isn't there. I would start the process again and connect from the bottom up." This is yet another damning verdict on the MCZ consultation process. 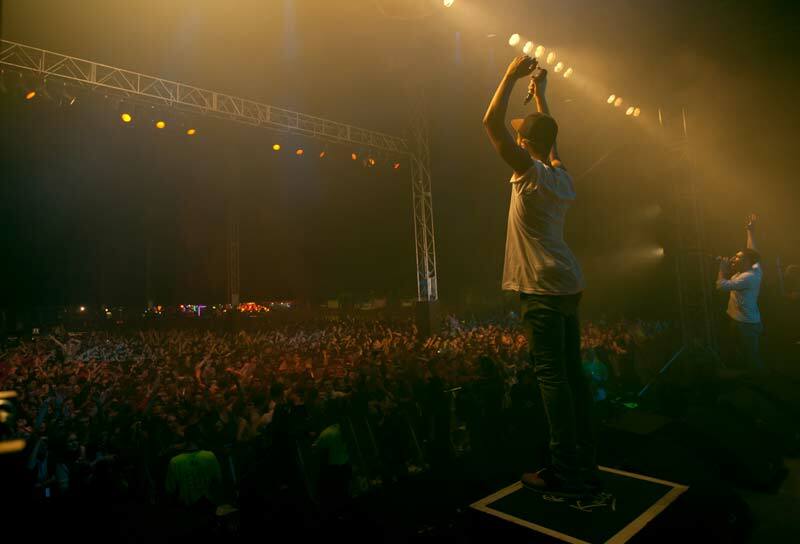 Wakestock 2012, in association with Samsung, has anounced that this year’s event will be the first in the UK to use the wristbands known as RFID technology. It will be a revolution for music fans who will benefit from secure access and virtually no queues. The ticketless system will see music and wakeboarding fans issued with special RFID wristbands that are read on arrival to validate entry. At the wearer’s discretion, the bands can be linked to their social media profiles, or used to enter instant win competitions. Festival goers will be able to sample the new Samsung Note and personalise their wristband to ‘check in’ on Facebook and share their experience with friends online. Only two events in the country have had this technology approved, the other is the Red Hot Chili Peppers concert at Knebworth at the event of this month, so Wakestock are in pretty good company! 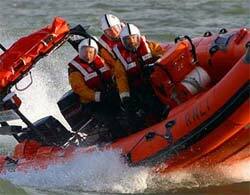 Abersoch Lifeboat had a call out on Monday evening to a fishing boat with engine failure off Devils Ridge. 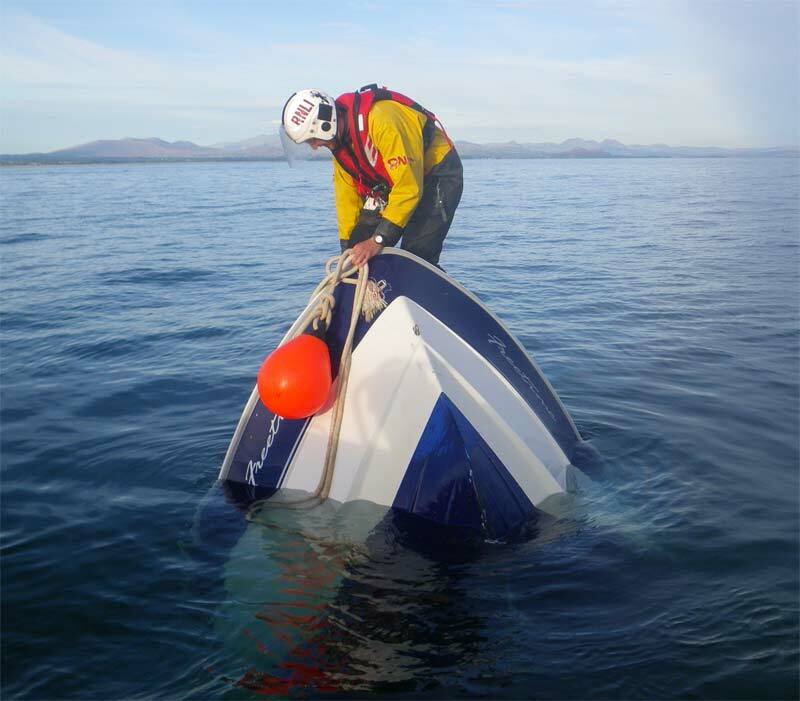 The vessel was towed back to Abersoch moorings with 4 people on board. Local singer / song writer, Dan Williams, has some new material on his Facebook page, where there will also be info on the gigs he will be playing in Abersoch this summer. The Llyn Coastal Festival is currently underway with lots of events taking place over the coming weeks with exhibitions, fun days, walks, talks, sailing taster days etc etc. Details can be found via the AONB website events pages by clicking here. Abersoch was hit by a major power cut that shut most of the shops yesterday (20/6). Power was lost due to a pylon falling on the outskirts of the village and some properties lost power for 11 hours. The crew of Abersoch Lifeboat Station are holding their annual open day this Monday (4th June), from mid-morning onwards. Many of the crew will be on hand all day to show visitors the Lifeboat and associated rescue equipment and to answer any questions. Refreshments will be available. 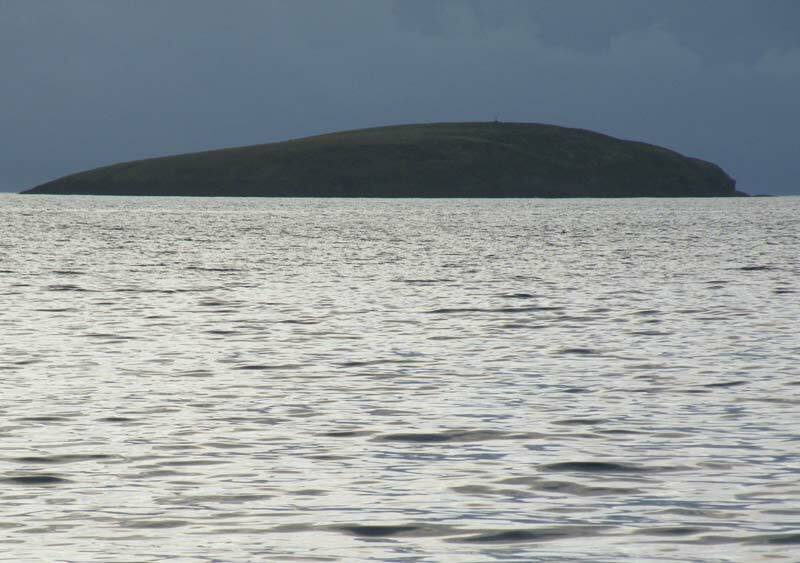 Bear says..."There is no doubt amongst anyone who understands both the sea and the rich heritage of our Llyn peninuslar that this proposed Marine Conservation Zone would be devastating for the Llyn both economically and culturally. We are known as having one of the finest boating communities in the UK, with sailors competing here from all over the globe. In addition, mariners bring huge business as they enjoy the amazing beaches, coastline and boating that we all love and guard so carefully. I will be among the many thousands that will be backing the fight to stop this ill-thought through proposal in any way that I can." 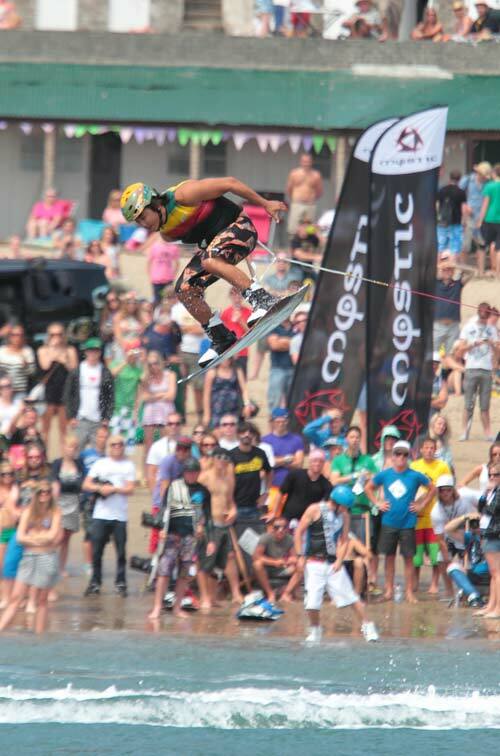 The Wakestock Big Air Competition returns to Abersoch Beach. I am a consultant geologist and professional wildlife photographer. With respect to the former, I have worked extensively on the post glacial evolution of the Irish Sea (including Cardigan Bay), its geomorphology, sedimentology and structure. 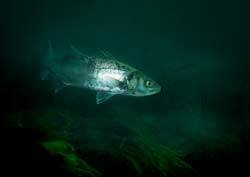 With respect to photography, I am an international award winning photographer, specialising in underwater photography. I have made more than 150 dives in the area of Zone 5, and have photographed many of the species that you describe. 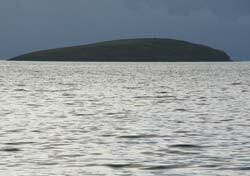 While I am wholly behind marine and terrestrial conservation, I am extremely concerned that the Government and its advisors have rather missed the point, with several of the Zones around Llyn....click here to read more of this letter. 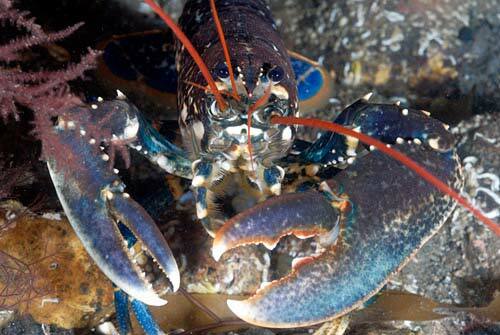 If you asked someone whether they were in favour of preserving marine life and the sea bed, then you would almost certainly get "yes" for an answer. This noble ideal appears to be the thinking behind the concept of the "MCZ". Unfortunately, from this basic principle of conservation, there has sprung a proposal that is likely to be un-enforceable, a potential disaster for the local economy and one that may not even achieve its primary goal - i.e. conservation. The sea bed of Cardigan Bay has been ravaged by illegal scallopers fishing in waters already designated Special Areas of Conservation. The MCZ, just like the SAC, will do nothing to prevent these illegal activities. Wales Air Ambulance’s 3rd helicopter, based in Welshpool is under threat. An extra £600k is needed each year in order to upgrade and maintain the lease of a ‘new generation aircraft’: an advanced air ambulance with the latest medical facilities and aviation technology. By raising an additional £600k this year, Wales Air Ambulance can take that first step in continuing to save lives for the people of Wales. 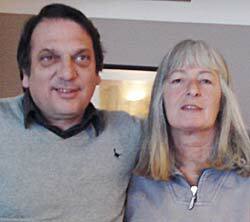 So Gary Horseman from The Sandpiper Abersoch & Lesley Davenport have decided to take up the cause. Several events will take place at The Sandpiper over this year with the Peak for the Year being a SKYDIVE for Gary & Lesley on September 30th in Whitchurch from 13,000 ft! 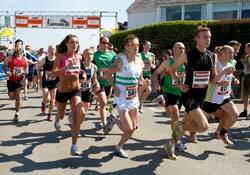 Sponsorship forms are available from The Sandpiper and around the Village. The next event is a Quiz night at the Glyn Garth, Llanbedrog on 26th June. Contact Lesley for further info. Today's Caernarfon Herald reports the views of our local fishermen, here in Abersoch, on the proposed Marine Conservation Zones. The Herald article can be accessed by clicking here. 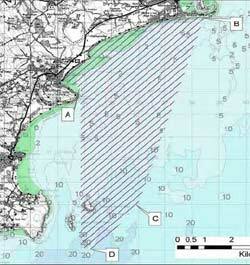 The proposed zone for our area, if implemented, would have a very disruptive impact on various water based activities. If you feel you may be affected by this zone, please use the links to be found on articles below to send comments to the Welsh Government. 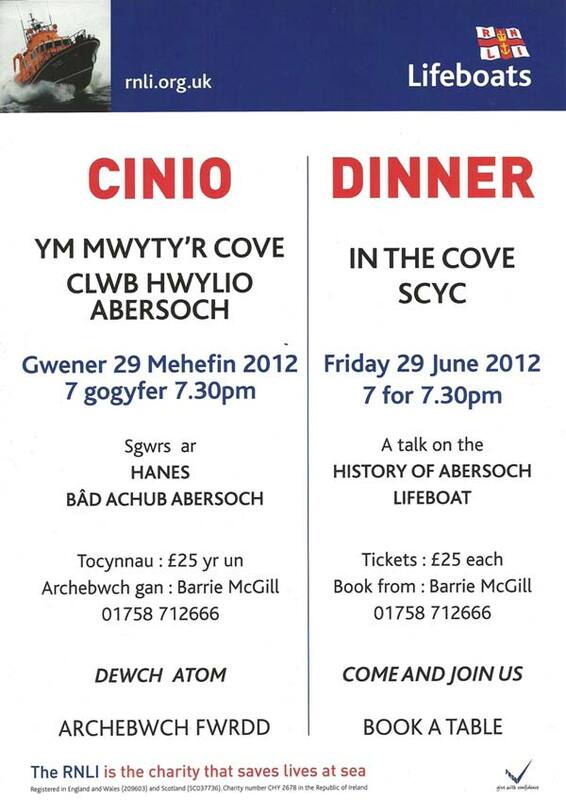 A fundraising dinner and talk on the history of the Abersoch Lifeboat is to be held at the Cove at SCYC on Friday 29th June. All are welcome and tickets are £25 each. For more information or to book a table, please email the office at SCYC using info@scyc.co.uk or call Barrie McGill on 01758 712666. Click on the image to the left for the event poster. 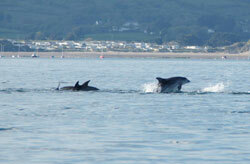 We have been sent some great photos that were taken on Saturday 5th May in the early evening, of a pod of dolphins off Abersoch. Andy Huddlestone and friends were out in their boat (one of the few boats out at that time) and were surrounded by 7 to 12 dolphins putting on a spectacular display. Photographing these amazing creatures is quite difficult, but Andy has managed to get some fantastic shots. Many thanks to him for sharing them! Click here for more of the photos. 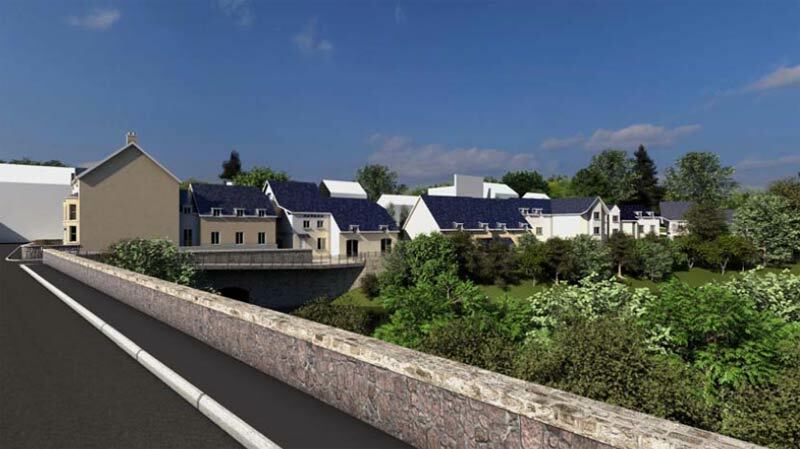 Planning permission is currently being sought for the re-development of the Riverside Hotel in Abersoch with the hotel and chinese restaurant being replaced by 14 residential houses, 8 residential apartments, parking for 32 cars and a single retail unit. Another economic issue has recently raised its head with proposals by the UK government to impose 20% VAT on new static caravan sales from October. It is being widely reported that this will have an adverse impact on the sale of these statics and on the caravan park business in general in North Wales. There are articles on the subject in both today's Caernarfon Herald (Caravan tax is ‘nail in coffin’ for Gwynedd businesses ) and in the Daily Post (MP's Attack New Caravan Tax). Today's Caernarfon Herald is reporting on the issue and says there will be a public meeting on June 12th, organised by Llanbedrog Community Council. The Herald article deals with the commercial fishing side of things, but it is still unclear as to what, if any, restrictions will be placed on other activities eg race sailing marks, anchoring near to Llanbedrog beach, fishing from the beach etc. The Herald article can be accessed by clicking here. 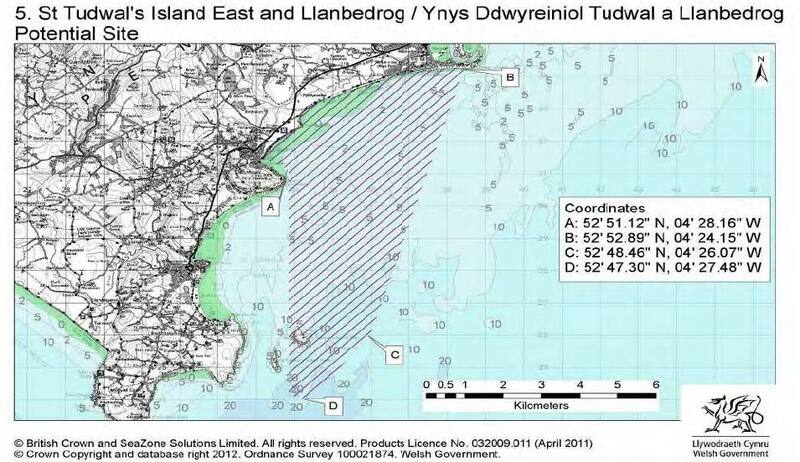 - Link 1 PDF Doc: Pages 46 to 50 are relevant to the St. Tudwal's zone on this PDF doc (though there is also info on there about the Bardsey and North Llyn zones too. The BBC are reporting today that a consultation has begun on plans to protect marine habitats around Wales by closing them off to activity by people. 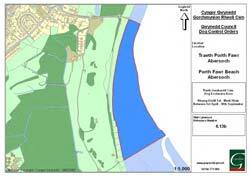 One of the 10 zones under consideration is an area from St. Tudwal's East running across to Llanbedrog and Pwllheli. The Countryside Council for Wales, which has helped advise the Welsh government on the choice of the potential sites, said the zones to be chosen would be given a high level of protection from activities that could change, damage or disturb what is naturally found there. In practical terms, it said, that meant that nothing would be extracted from or deposited into them. Sion Williams, secretary of the Lleyn Pot Fisherman's Association, said members of both the fishing and tourist industry were "up in arms" over the plans. Read the full story at BBC Wales News. «- click for a larger image of the proposed zone. 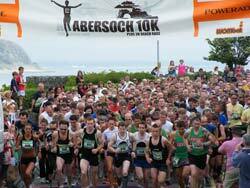 Volunteers are needed for this year's 10K and 3K runs (9th June) to act as marshalls's etc. The charity partner of the event, the RNLI, have been asked to provide the marshall's and they currently require another 12. The RNLI also have 50 places available in the 10k, available at the reduced entry rate of £10, and this entry money will go to Abersoch Lifeboat station, rather than the other entry fee money, which does not. If people are interested in volunteering to help or running for the RNLI, contact Claire at claire_timbrell@rnli.org.uk or tel 07824 607 401 and she can provide further details. A series of events are to be held at the beginning of June at SCYC for the diamond jubilee. 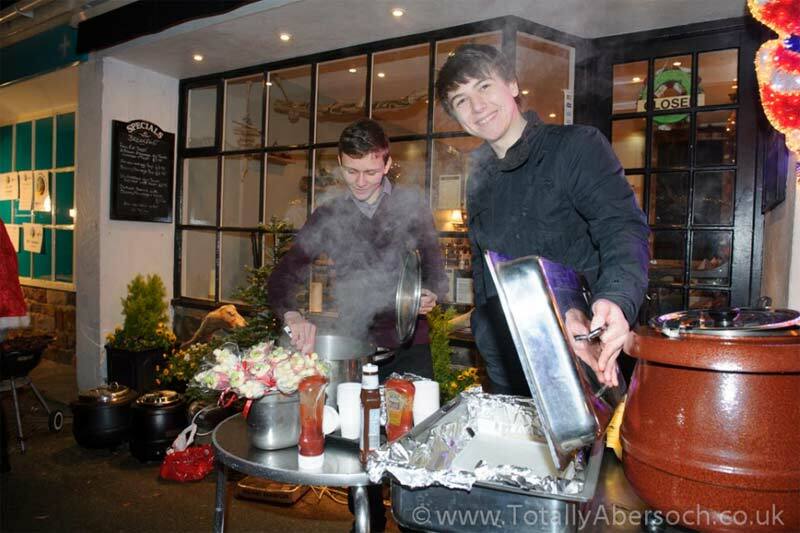 Events include a hog roast with samba band and Moniars 6 piece band (Sat 2nd), a curry evening with Alistair James, vocalist (3rd June) and a BBQ with Martyn Rowlands (4th June). For further information, visit www.scyc.co.uk or you can click on the image to the left for the event poster. 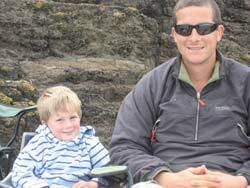 The recent charity motorbike ride and auction held by Beicwyr Llyn Bikers has raised over £7K for Dafydd Llywelyn Williams, who was very badly injured in a road accident in Abersoch in 2011. Sixteen year old Llywelyn Williams’ life was turned upside down when he was struck by a car while riding his skateboard, last September. Due to his horrendous injuries, Llywelyn’s right leg had to be amputated and his parents, Eirian and David, were told on more than one occasion that he may not survive the night. However, Llywelyn fought on bravely and was released from hospital vowing to carry on doing the same things he did before the accident. Read more on this story at The Caernarfon & Denbigh Herald. In preparation for the launch of the Wales Coastal Path on 5 May 2012, Keep Wales Tidy has organised a weekend-long event to clean as much of the path as possible of any unwanted litter and to showcase the fantastic Welsh coastline. As part of this event, a clean up of Porth Neigwl (Hell's Mouth) will take place on Friday April 27th, from 10.30am. All volunteers are welcome to join in and help. The incredible spell of weather continues here in Abersoch and today is the 4th consecutive day of blue skies and almost unbroken sunshine, along with temperatures we would be happy with during the summer. The views across the bay have been great over the last couple of days, with some nice sunrises, as captured by our daily photos (click here). The wonderful weather looks like continuing for a couple of days more, before cooling off at the end of the week (but staying dry). The weather has had an effect on our website traffic, which has been very high so far this week. The Vaynol Arms cams are back online. What a fantastic weekend of weather we have just had here in Abersoch. It was probably the best March weekend in living memory with blue skies, very little breeze and temperatures approaching 20C. 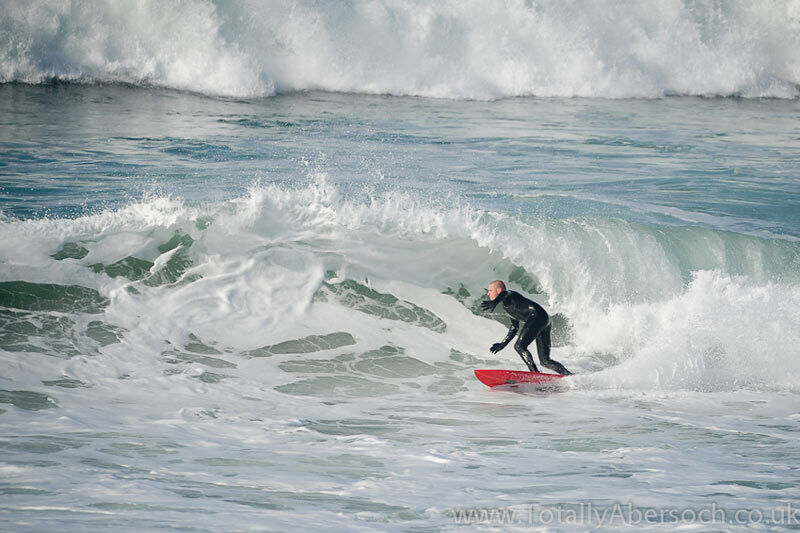 The village itself was bustling and surfers flocked to the surf beaches as there was substantial surf running on both days (see John Wormald's photo opposite from today). 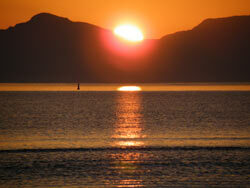 The fine, warm and sunny weather is expected to last well into the coming week. 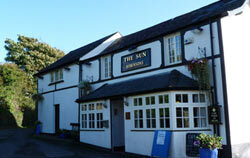 Three major refurbsishments have been taking place in the Abersoch area over the last few months. Major improvements have been carried out at The Vaynol in Abersoch and the Sun Inn at Llanengan and also, there is the huge redevelopment of the "Y Bwtri" building that previously housed Abersoch Cafe and will now be a cafe / restaurant under the name "Zinc" and connected to the existing Zinc Bar next door. All 3 projects are very impressive in their own right and are all very near to 100% completition, so check them out on your next visit to the area. 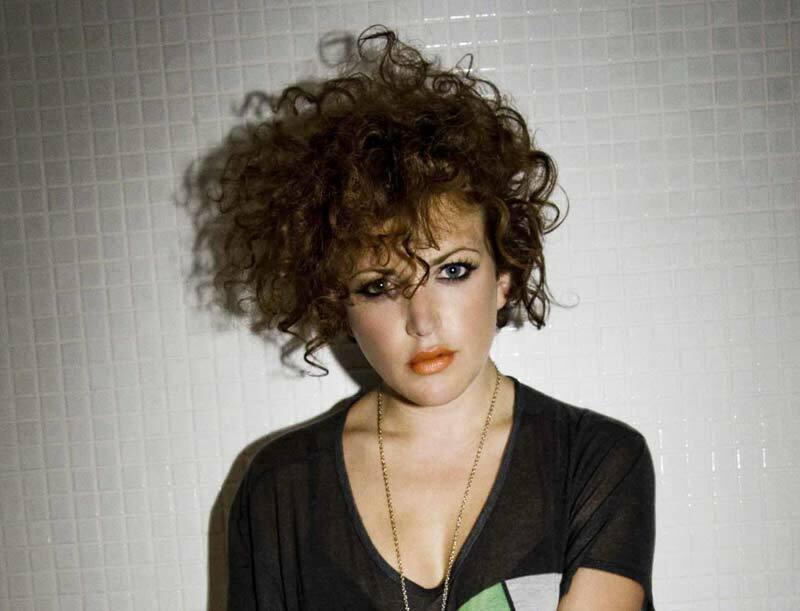 THE ALL-AMERICAN REJECTS, BENJAMIN FRANCIS LEFTWICH, MS DYNAMITE, REDLIGHT, BREAKAGE, FRICTION, B.TRAITS, MAJOR LOOK, L MARSHALL, MIKKIL PAYNE AND RYAN KEEN are the latest acts added to the Wakestock 2012 bill. As well as being able to buy tickets online, tickets will also be available in the local shops from Friday March 30th. There is also a new female only campsite “Camp G” to be launched at this years festival. Tickets are available online now through www.wakestock.co.uk along with all the event info. Wakestock are looking for brand new DJ talent to open this year’s festival and are offering someone the chance to play at the opening of the South Stage on Friday 6th July. Judging the competition this year alongside the Wakestock bookers, will be DJ, presenter and long time friend of the festival, Goldierocks who will be picking her favourite mix from the 5 finalists selected by the Wakestock bookers. The winner will receive their full tickets including camping for the weekend, plus a ticket for one of their mates. The closing date for entries is May 1st and the winner will be announced that month. 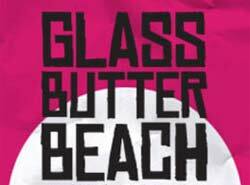 The Glass Butter Beach festival has been cleared to go ahead later this year, despite an attempt to revoke its permission for live and recorded music to be played, after complaints from neighbouring homes. The Glass Butter Beach festival was first held at Crugan Farm in Llanbedrog, last September, where almost 1,000 revellers watched acts such as chart toppers The Rizzle Kicks. A couple of IE9 bugs have recently been fixed and also the menu issue that was affecting the site at times over the last 24 hours. There are now new advertising opportunities on the website, including space on the home page. Please contact us for more information. As mentioned below, the daily photos have returned and these will be updated on the vast majority of days, until the end of October. Outstanding auto webcam issues are due to be addressed before Easter. Many thanks to those who continue to view the website. 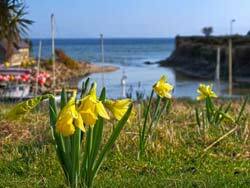 The first day of March is a significant day here in Abersoch. Not only is it St. David's Day and the first day of the meteorological spring, but it is also the first day that many of the caravan and static sites re-open, after the winter shut down. Let's hope the new season brings plenty of fine, warm and sunny weather!!! 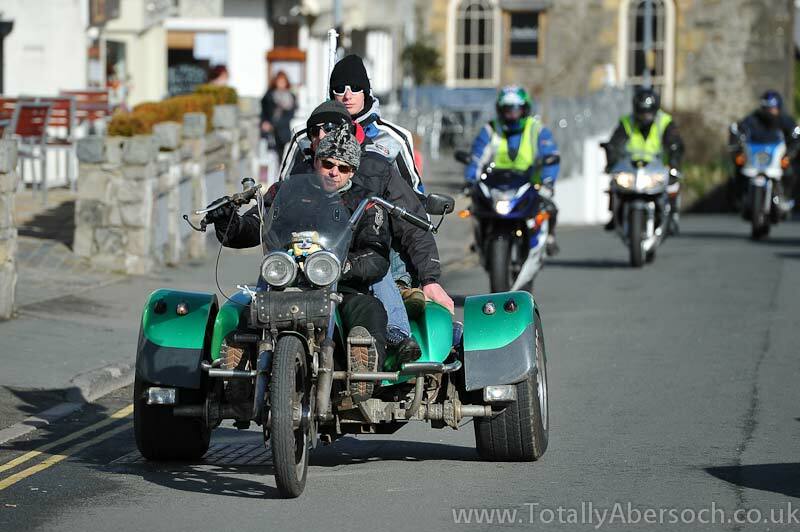 Today also sees the return of the Abersoch.co.uk daily photos - which can be accessed by clicking here. 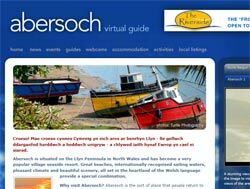 Abersoch Lifeboat Station have a brand new website. 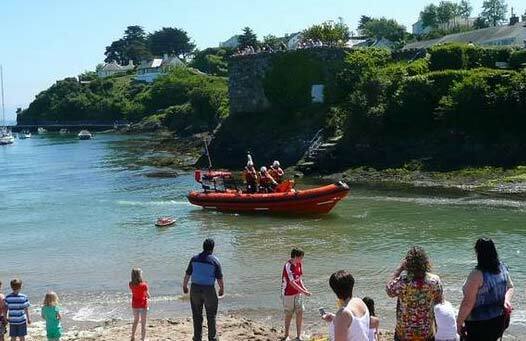 Abersoch RNLI provides a 24 hour lifesaving service for Abersoch and the surrounding coast, the service is invaluable to anyone that ventures out on the water. The purely voluntary crew have been keeping the Cardigan Bay coastline safe for over 140 years and relies heavily on fund raising. The website is packed full of interesting information including the details on the latest rescues. 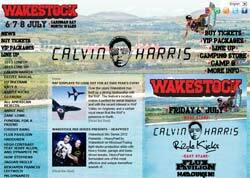 Wakestock 2012 tickets go on sale today and there is more breaking news from Wakestock HQ withthe announcement that Dizzee Rascal will be joining Ed Sheeran and Calvin Harris on the bill. Dizzee is a Wakestock favourite after paying the festival a visit back in 2009, where he made the crowd go wild with a set that included smash hits Bonkers and Dance Wiv Me. Brit Award nominee Ed Sheeran will join Dizzee on the bill. Ed is currently nominated for 4 Brit Awards after a phenomenal rise in 2011. 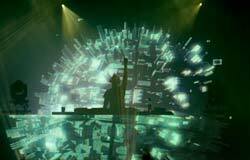 Calvin Harris will also be taking to the stage after an incredible year. 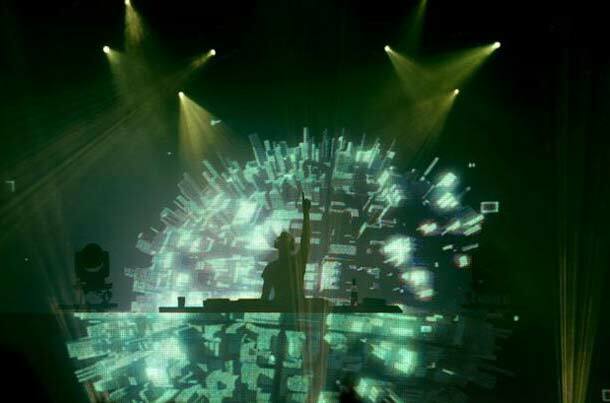 Calvin has produced some of the biggest tunes to hit the airwaves including Rihanna’s We Found Love and Kelis’s Bounce and has a back catalogue that takes some beating. With a new album coming in 2012 Calvin is going to rock the Wakestock crowds once again! This year’s festival takes place on 6th, 7th and 8th July and loads more acts will be announced soon, along with further details of the wakeboarding talent travelling over to compete at this year’s festival. Tickets can be purchased from 9am today via the Wakestock website at www.wakestock.co.uk or by calling 0844 8737358. Gosling's have some special offers for this month and February and March for B&B and self catering accommodation. Llywelyn is a 16 years old young man. 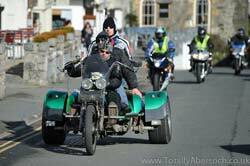 The son of Llyn Bikers founder Eirian Wyn. Who on his 16th Birthday passed his CBT and is very keen to move on to bigger bikes. 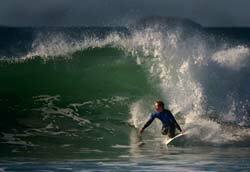 Llywelyn is also a Junior Champion Surfer who loves the sea. He also enjoys helping out at the local Lifeboat Station in Abersoch. An all round popular boy. Tragically Llywelyn was struck by a car whilst skateboarding home on the 4th September 2011. He suffered horrendous injuries and sadly, his right leg had to be amputated above his right knee. To read more on this story and the fundraising event - please click here. 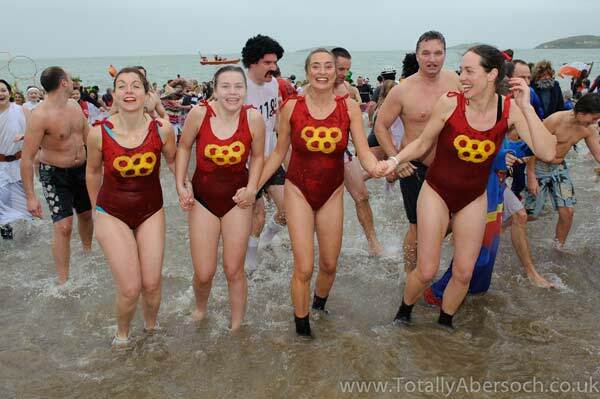 Abersoch RNLI is delighted with the results so far from the New Years Day Dip. Around 450 people, children and adults, braved the water, with the result that they ran out of the commemorative medals! Further medals have been ordered and will be sent to the people who left their names on the day. Abersoch RNLI would like to thank all those who have given so generously. The beach collection raised a record £3,346 and sponsorship to date has raised £3,401. They look forward to receiving further sponsorship from those who have not yet made their submissions. 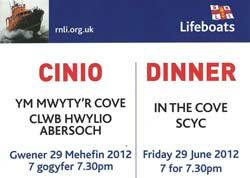 All the money raised goes direct to the local RNLI branch in Abersoch to equip and support the volunteer crew. Wakestock HQ are stoked to announce that tickets for this year’s festival will be going on sale at 9am on Monday January 23rd. Calvin Harris and Ed Sheeran have already been announced as two of this year’s headliners at the festival which takes place near Abersoch, North Wales on July 6 / 7/ 8th. 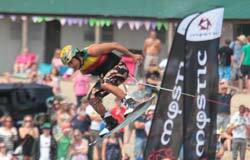 More acts will be announced soon, along with further details of the wakeboarding talent travelling over to compete at this year’s festival. Tickets can be purchased from 9am on January 23rd via the Wakestock website at www.wakestock.co.uk or by calling 0844 8737358, and there is good news for all Wakestock fans planning to come to the festival this year - they are holding the 2011 ticket price for 2012 on all of the main tickets. Prices for the 2012 tickets which go on sale on Monday are listed below – day tickets will go on sale at a later date. Full information regarding the VIP packages available this year will be announced on the website very soon. Plans for an £8million national sailing academy and events centre in Pwllheli have gone on display. An information day was held yesterday and they will remain on display for the rest of the week at the Pwllheli Sailing Club, and will be on show at Neuadd Dwyfor from next Monday. Click here for the rest of the BBC News story. 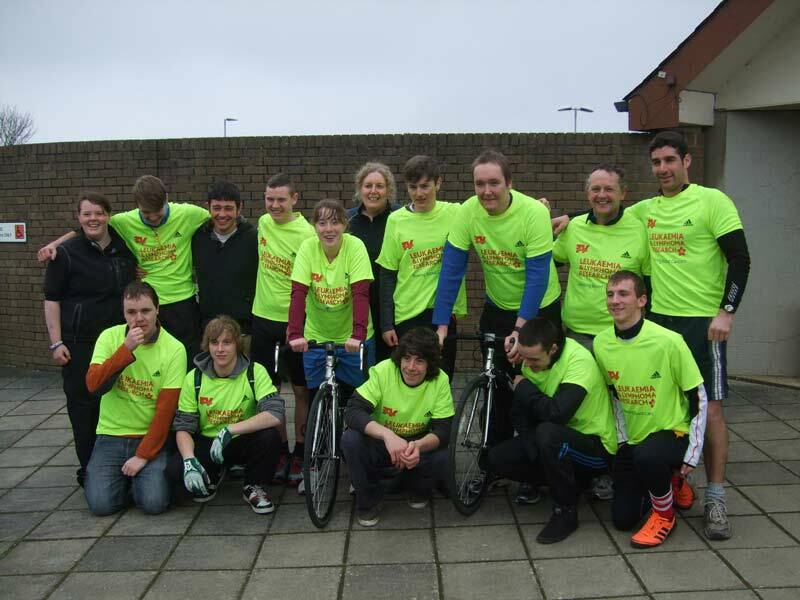 The memorial rugby match for William Naden Hughes held last week at Pwllheli Rugby Club, raised more than £4000. Over 400 people attended the match and you can read a full report at the Caernarfon Herald website by clicking here. Sadly, John Higson's boat in the "worlds toughest rowing race" was forced to retire before Christmas, due to the appalling sea conditions, which contributed to a failure in the electronics in the boat. John and team mate Barnaby were finally picked up 3 days after sustaining the electronics failure, which meant a worrying time for his family and friends. You can view an interview with John on the Go Commando race page here. Totally Abersoch's Sale starts today with 20% off all marked prices in store, so be quick to grab your bargains because they close on Sunday until the February half term holidays. Abersoch.co.uk would like to wish all our visitors and advertisers a very Happy Christmas!